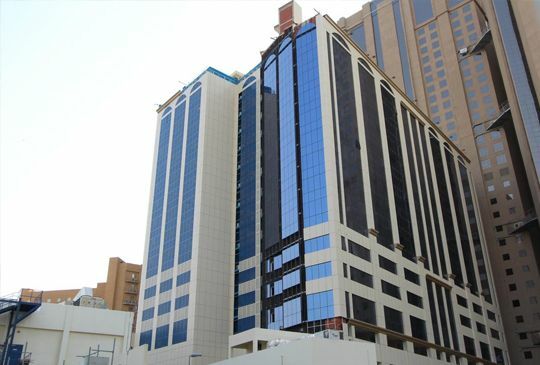 The hotel is located in Tayseer district in Jabal al-Kaaba street near the expansion of King Abdullah Holy Mosque. WiFi access is available. It offers a restaurant with a 24-hour room service.Each air-conditioned room features a flat-screen TV, a living room and a dining area. Complete with a refrigerator, the dining area also has kitchenware and an electric kettle. Private bathroom also comes with free toiletries. You can enjoy city view from the room. Extras include satellite channels.At Amjad Al Diyafah Hotel you will find free shuttle service and a 24-hour front desk. Other facilities offered at the property include shops (on site). The property offers free parking.King Abdulaziz International Airport is 74 km away. This property is also rated for the best value in Makkah! Guests are getting more for their money when compared to other properties in this city.We speak your language!